Keeping your house warm in winter with Infrared Technology, How to save money on your electricity? There are many parts of the world where winter is a frigid time of year with very low temperatures. There is always a need to find some reliable methods to keep your house warm during the winters. Energy companies are increasing pricing rapidly with time. People who are living in the areas with the massive cold environment in the winter days need to keep the houses warm. In every country, experts are advising the householders to install double glazing, through insulation and overhaul their inefficient heating system. While putting all of these expensive solutions aside, what can be done cheaply and easily to keep your house warm for a good health? So, you have heard about the infrared radiation or infrared technology, just from casual tidbits on TV commercials or in magazines. You can find in the market different kinds of infrared heaters. Infrared heaters, also known as radiant heaters because they use invisible infrared light waves. Some of those direct infrared light straight into a room or space to create heat on the object it reaches. All of other the infrared heaters contain three parts which create heat: infrared light bulbs, a heat exchanger and a fan that blows air onto the exchanger to create the heat. Infrared heaters take almost no time to get you warm. They start emitting infrared light instantly when turning on and they are warming bodies and objects and not the air they. There is no waste with these heaters because they not heat the room, they heat only the objects and people they are directed. Infrared heat is just similar to the sun heating the earth, warming people and objects with radiant energy. They are silent and emit light only. Infrared heaters promote healthy blood circulation. Infrared heaters are a clean source of heat for the winters. There is no pollution produced by these heaters as they do not use any fossil fuels or wood to produce their heat. 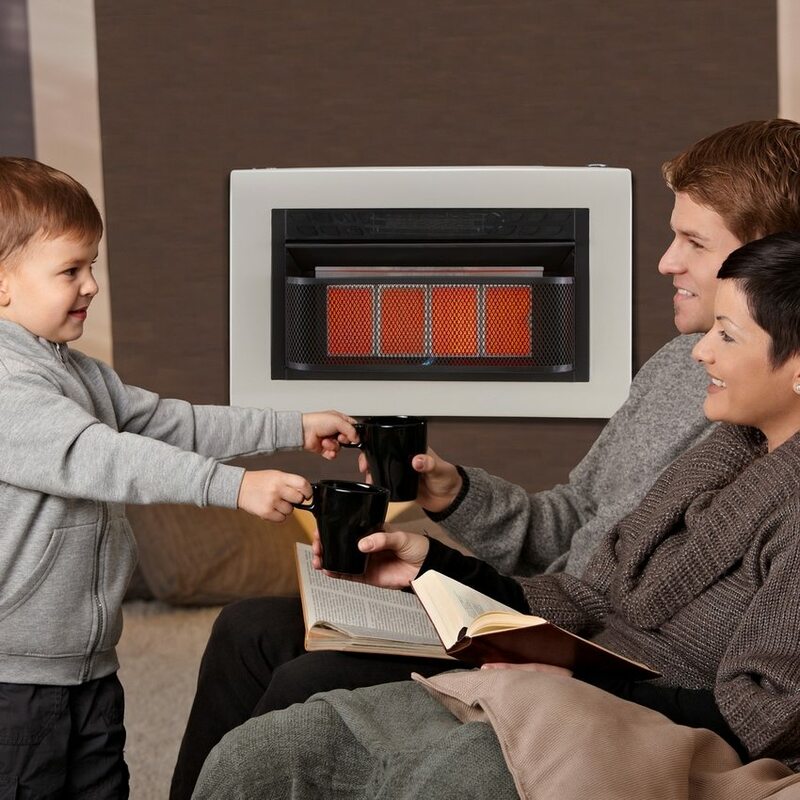 Infrared heaters are being considered as the safest portable heaters due to the heating mechanism and their design. The light emitted is invisible to the eyes and directly reaching to the body. These heaters provide a low-cost heating solution as they get warm up the body instantly as compared to the electric, kerosene, propane, or wood heat. There is very less amount of energy needed to run infrared heaters. Infrared heaters produce no smoke, fumes, or other byproducts as they warm you. These heaters reduce the formation of mold, as heat stops the formation of moisture. Normally an infrared heater just 40% the size of a traditional convection radiator will provide the same comfort during the winter. If you have a 1kW convection heater, it will provide you same heat provided by a 400w infrared heating panel. These types of heaters are being used in the Hot yoga studios. They increase the effectiveness of the workout. Flat-paneled infrared heaters are increasingly popular in the bathrooms, as they add a design element. Infrared heaters are one of the best choices for the winters because they require very little energy, maintenance and are extremely quiet. They are guaranteed solution to keep you warm and save money. They are becoming a popular solution to heating.